Choosing the correct floor for dance is important for health, safety and artistic performance. Whether for the world’s leading dance companies or classes in school, the same fundamental criteria apply. 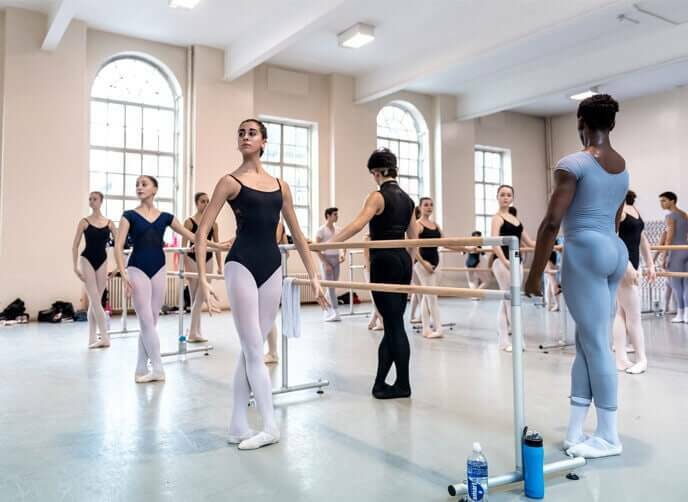 Expecting children to dance on a hard, unyielding surface can lead to a variety of ankle and shin stress-related injuries that may also reduce a dancer’s career in the longer term. Medical specialists in dance injuries have established a link between the quality of the floor and injury and have shown that floor with a consistent response is vital. The other factor is the dance surface, which should offer the correct degree of ‘traction’, so allowing dancers to fully and artistically express their dance movements without the risk of slipping or falling. Harlequin has developed four dance floor education packs suitable for teaching dance from the youngest age group upward, including roll out vinyl dance floors and a sprung floor option. These include packs that meet the required area dimension for GCSE and A-level dance. Academic research has provided insights into the relationship between injury and the quality of the floor. Harlequin has taken a lead role in working closely with the dance community, funding research and then employing the latest developments in materials technology to create floors that provide an optimal solution. Harlequin floors are widely used in educational establishments and even include versions that can be rolled out for classes in a gym or hall. "There are many things that a dancer has to contend with. They have to remember the steps, perfect the technique, respond to the music and they have to perform. One of the things they don’t want to have to worry about is the floor they are dancing on, and they know that with Harlequin they will be secure. The flooring has to be appropriate for all types of genre. You look at value for money, but it’s the care and attention that Harlequin as an organisation gives to the Royal Academy of Dance that is one of the many reasons for choosing a Harlequin floor".